Yes, I know it’s Monday, but I took these photos on Saturday, so that counts, right? 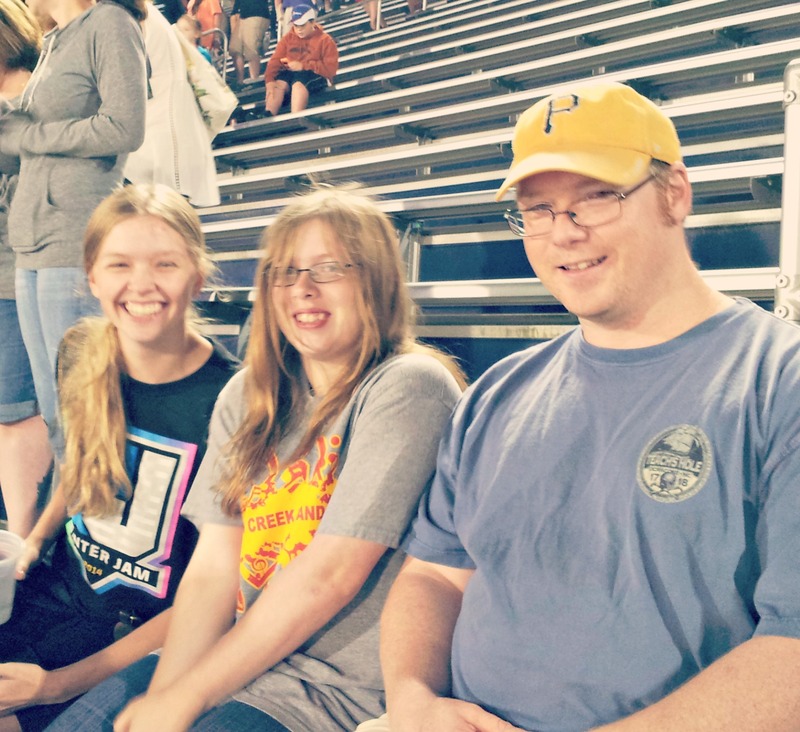 Saturday evening we went to the DCI (Drum Corps International) show in Akron and had a blast. David was in the Bluecoats when he was younger, but we haven’t been to a show for ages. Now that Amber’s starting marching band this year, we thought it would be a good time to take her and one of her friends. The bands are just amazing, both musically and their marching. How fun! It’s been a good 12-13 years since I’ve been.